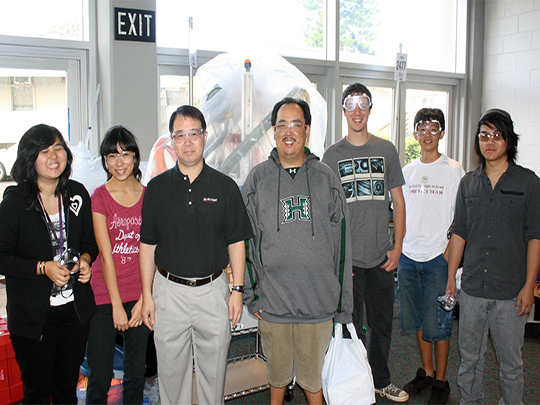 ActioNet, Inc. supported the Pearl City High School’s robotics team on their road to Hawaii’s fifth regional FIRST (For Inspiration and Recognition of Science and Technology)Robotics Competition held on April 23 – 24, 2012. 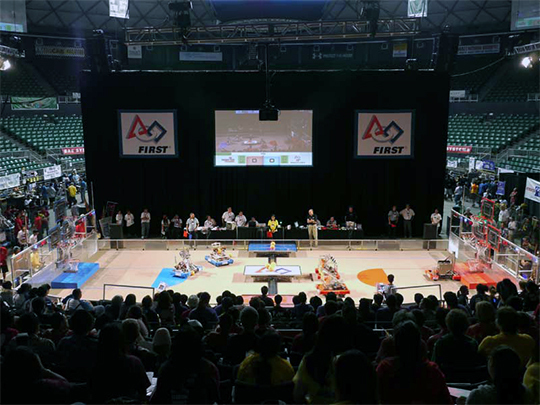 It was March Madness at the Stan Sherriff Center on the University of Hawaii’s Manoa Campus in Honolulu, and the players are robots designed, built and operated by high school students. 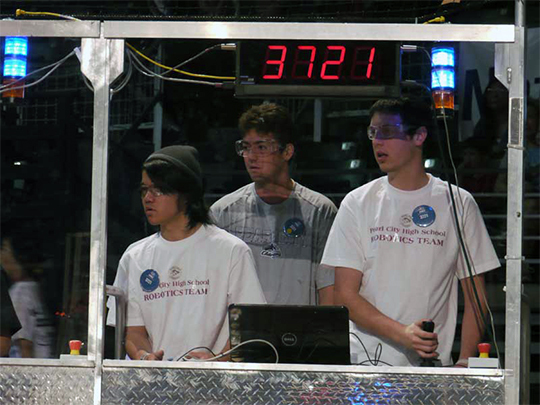 The game is played by six remotely controlled robots from six different schools paired in two teams on the court, moving for a shot and balancing on a platform. Neoprene tubing, cocked, released and re-cocked provides the “arm” power. 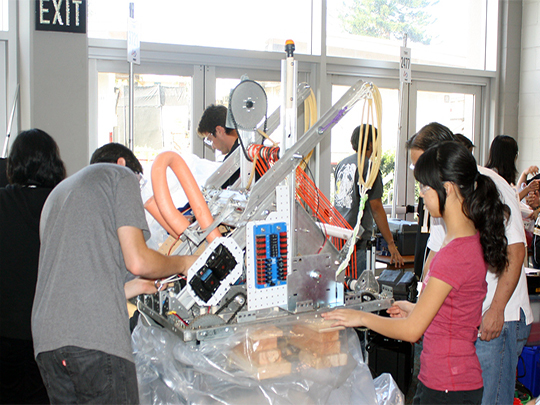 Electro-mechanical actuators, synchronous motors, steering units and drive subsystems work together responding to software programmed by the students. 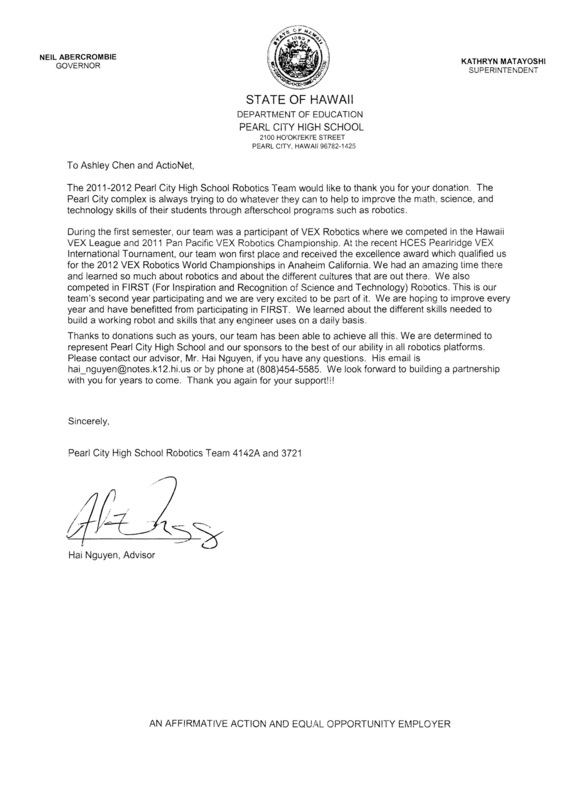 It was Pearl City High School’s first participation in the FIRST Robotic Competition. 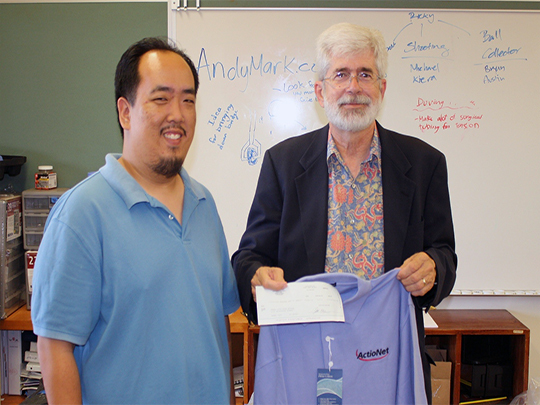 ActioNet made a monetary gift to help the team cover some of the costs associated with building and operating robotic devices. ActioNet employees were on-hand during the setup and watched the competition. More than 1,000 students from 36 Hawaii high schools and teams from New Orleans and Taiwan participated in this year’s event. 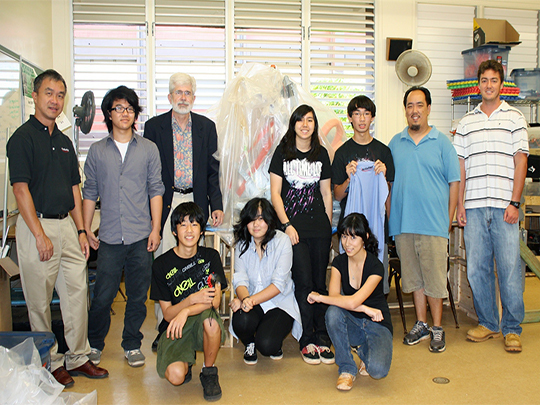 The programs at the high schools and the annual events are sponsored by individuals, organizations and major corporations — and is further evidence of ActioNet’s growing community involvement in Honolulu.